Migesa, through its broad experience in projects on the Exchange platform, supports and provides knowledge for development, as well as consulting services for a better optimization of the email service. 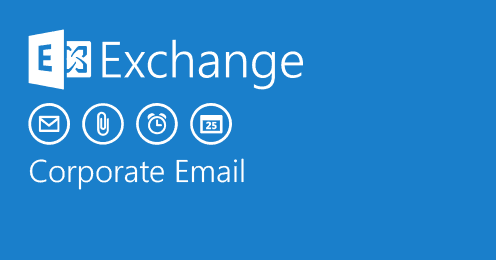 Exchange is the most complete corporate email tool, which will allow you to check your email, calendars and contact list from your PC, phone or browser. Simplify information availability and recovery in case of disaster, achieve new reliability and safety levels, and protect your data. Microsoft Exchange offers a new set of technologies, functions and services with the aim of helping organizations in the evolution of their work habits, providing an approach based on communication and collaboration. The Exchange architecture reduces the administrative and operational effort, giving the administrator the safety and continuity of the service through the use of high availability mechanisms at low cost. Implement Exchange in your company either locally or through the provisioning of mailboxes in the cloud. Always available and in control. Better interpolarity among versions. Longer uptime. Administered supervision. Reduce storage costs. Comply with safety regulations. Prevent data loss. All your information in one place. Better administration in mobile devices. Simplify implementation. Reduce maintenance time. Flexible messaging administration. Permit control to expert users. Migrate to the cloud whenever and however you want. Migrate your messaging platform to the cloud today!, and obtain greater storage capacity along with all the safety your data needs.